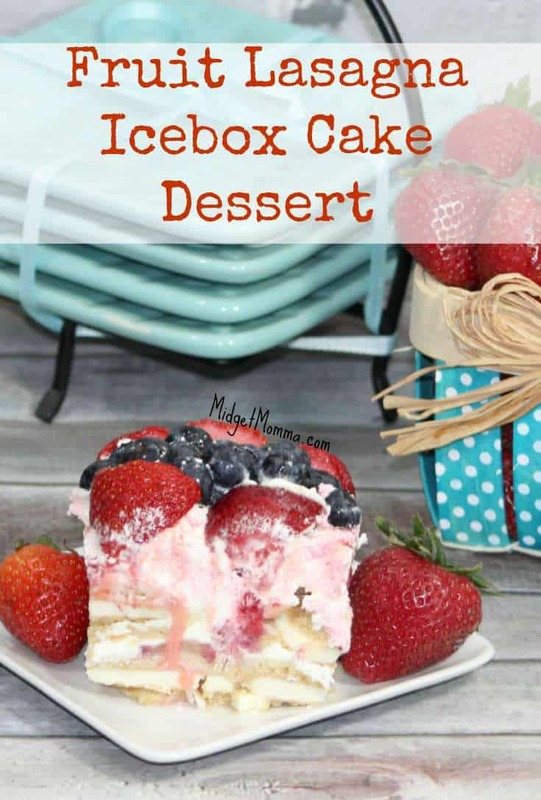 On the HOT summer days the sweet tooth can still kick in screaming for its need and baking something in the oven will heat up the house and is not something anyone really wants to do and that is where this awesome Fruit Lasagna Frozen Ice Box Cake saves the day. It is super quick to put together and you can bring this to a party or BBQ and everyone will love you for it! 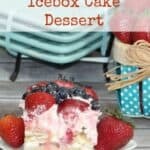 This Fruit Lasagna Frozen Ice Box Cake is a dessert that you can get the kids involved in making too, so you can have a fun activity at the same time for the kids! This is one of our favorite summer dessert recipes to make with my kids anytime we have a summer picnic to go to or when we just want a tasty dessert. This easy to make dessert made with fresh strawberries and blueberries is a great last minute dessert. It is perfect for anytime the sweet tooth starts screaming. 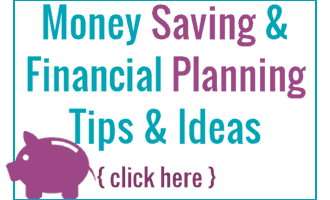 Since strawberries and blueberries are also in season it is budget friendly to make during the summer too! 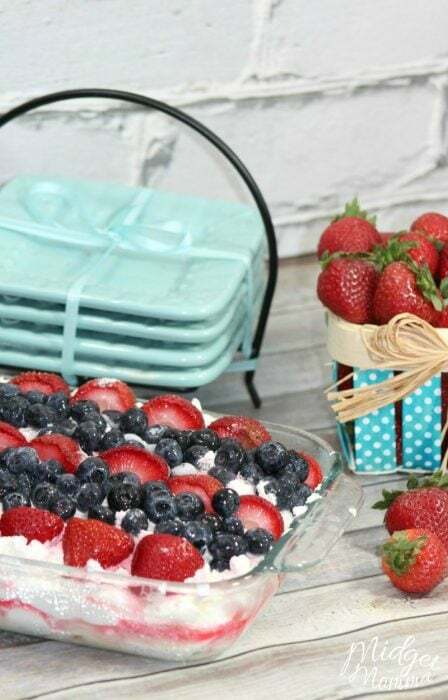 This no bake summer berry lasagna is great for hot summer days. Let’s be real here, everyone wants to have awesome desserts in the summer but no one wants to turn on the oven and heat up the house. 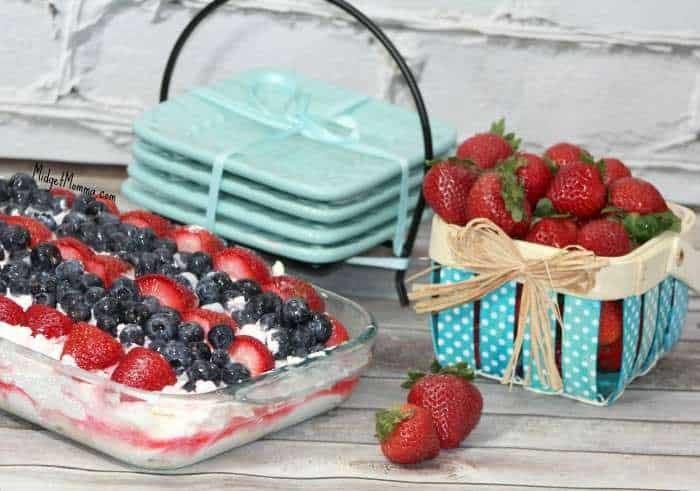 This red, white and blue dessert is perfect for the summer holidays like Memorial Day and 4th of July. 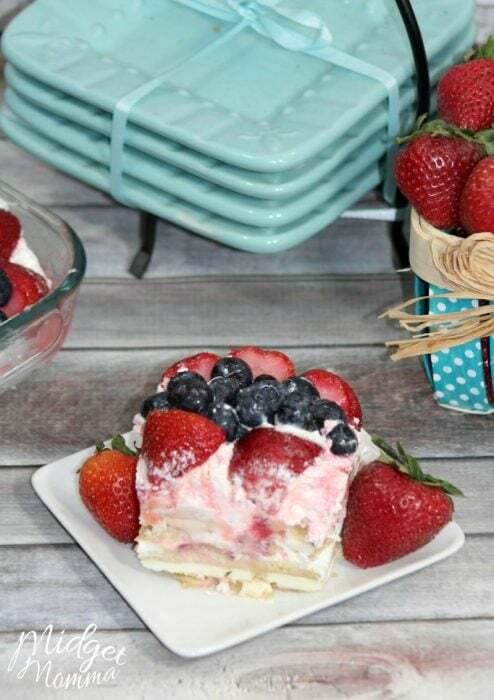 Fruit Lasagna Frozen Ice Box Cake. This fresh and summer dessert is perfect for picnics and BBQs. 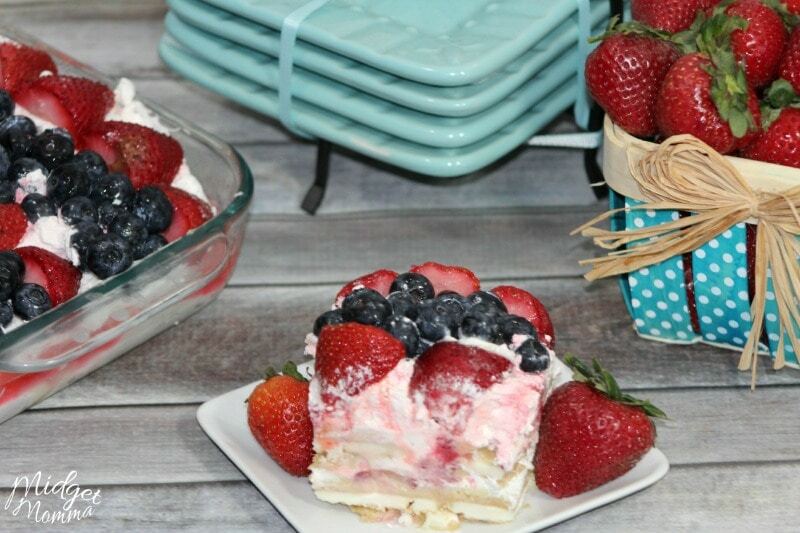 This Frozen Ice Box Cake is made with fresh blueberries and fresh strawberries. 1 box vanilla pudding prepared following the box directions. 2 cups fresh strawberries washed, hulled, and cut in half. Get out a 9 X 13 inch baking dish. Next you are going to be putting together your layers. First layer..Vanilla Oreo's..place the whole cookie side by side filling the entire bottom of the dish. Third layer.. Spoon a layer of prepared vanilla pudding covering the layer of cool whip. Fourth layer..Top the vanilla pudding with a layer of strawberry jam covering corner to corner of the pudding. Fifth layer..Spoon a layer of Cool Whip over the strawberry jam. Sixth layer.. start with a row of strawberries, next a row of blueberries. .---- ---- Alternate with rows of strawberries and blueberries until the baking dish is covered. When this is completed place it in the refrigerator until you are ready to eat it. Looking for More Red, White and Blue Dessert Recipes? Check these out!